Following recent updates to the S60, Volvo has modernized the V60 wagon. We were invited to drive the vehicle in its home country of Sweden. Wagons have been part of the Volvo tradition for decades, but the V60’s segment is waning with few players left on the field. There’s the BMW 3 Series Touring, though it will soon be pulled from our market, the Mercedes-Benz C-Class Wagon and the Audi A4 allroad. In a pinch, you could include the swankier trims of the Subaru Outback. Volvo, which is now owned by a Chinese company, didn’t settle for a mere refresh and completely overhauled the V60. It comes to us 12.5 cm longer and 5 cm lower. 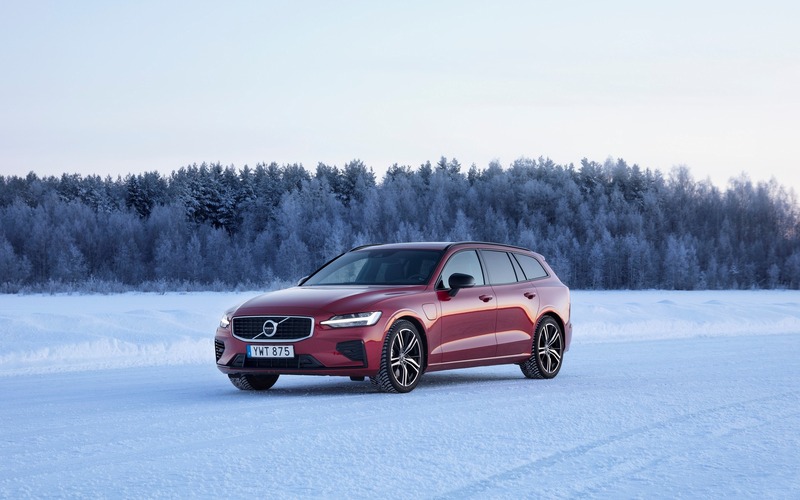 Whereas the previous generation seemed to be in something of an identity crisis, the new V60 has come into its own as a confident and mature wagon. And it’s so good-looking, I’m having a hard time holding back on the compliments. When we tested the Mitsubishi Outlander PHEV, we criticized its 35 km of range for being insufficient. But the V60 T8 only offers 20-odd kilometres of range. You can only imagine what we think about that! The vehicle’s electric mill is paired with a turbocharged, 2.0L four-cylinder engine that produces a total of 303 horsepower and 258 lb.-ft. of torque. A T5 engine is also available, also with a displacement of 2.0L, developing 250 horsepower and 258 lb.-ft. of torque. No diesel drivetrains are being offered in North America. You may be inclined to think that a naturally aspirated six-cylinder engine would have suited this vehicle better, but unfortunately there isn’t one. The two available engines work well with the eight-speed automatic transmission. That said, the V60 T8’s gear shifter can be unpleasant to use. For example, it takes two movements to shift from D to R. I imagine you’d eventually get used to the inconvenience. Otherwise, the V60 is a great touring car. You can cover a lot of ground without the slightest concern for safety. Plus, it’s comfortable and super quiet. While consumers are presently obsessed with SUVs, wagons have a lot to offer. Most come with all-wheel drive and more cargo space. To give you an idea, the V60 can carry 658 litres of gear, while the XC40 can only hold 586 litres. Volvo introduced its Cross Country version back in 1998 with the V70. Since then, the idea has been applied to various models, including the V60. 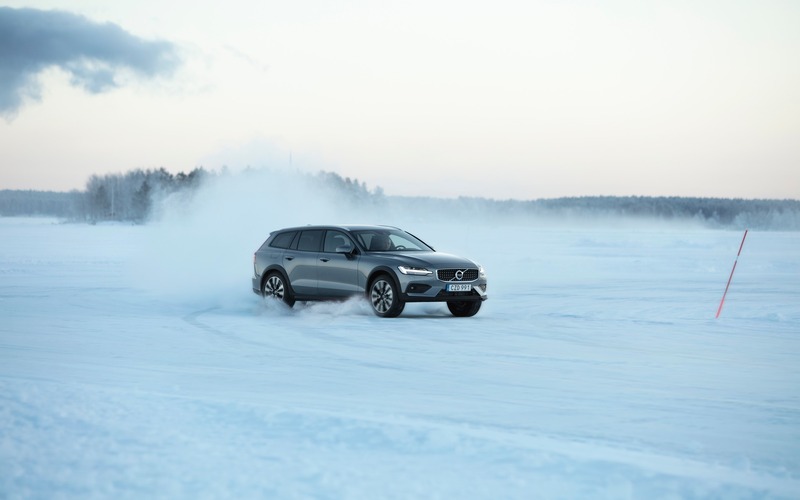 Essentially, what you get is a V60 that sits 60 mm higher, has distinctive dark plastic cladding covering the body and comes with an off-road mode. When this mode is activated, you can rumble downhill without having to hit the accelerator or brakes. Look to the middle of the dashboard and you’ll see a massive nine-inch touchscreen. For those who were born with a tablet in their hands, it should pose no problem. However, for most of us, swiping the screen to scroll through menus while driving can be dangerous. We prefer physical buttons because they’re easier to use. Volvo wagons are more popular in Quebec than in the rest of the country, but they’re still pretty rare. So, if you want to differentiate yourself from your neighbours and their boring SUVs, this is the perfect choice. However, being different comes at a cost. 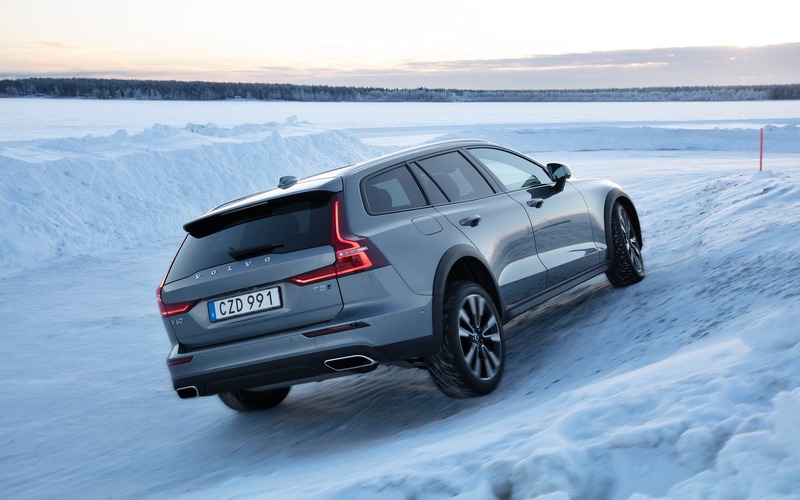 We don’t mean the purchase price, since the V60 and V60 Cross Country, starting at $43,900 and $48,900 respectively, are in the same ballpark as their competitors. Reliability is the big issue. In the most recent Consumer Reports ranking, Volvo earned the top spot among the least reliable brands. You’ve been warned! 4.0/5 The V60 is a fantastic touring car. 4.0/5 In the PHEV and conventional versions, the 2.0L turbo offers plenty of power. 3.0/5 Not so easy to use. 4.0/5 The V60 will never make you wish you had bought an SUV. 4.0/5 The V60 is one of the few wagons left on the market and it’s an asset to the segment.